“I know, and now there’s a turtle too.”. We had to amend the name to Stellan one day when I found out that when fully displayed, the horse has nothing on a turtle. Here is a picture of our lovely Jane, my iPhone scared Stellan into hiding. 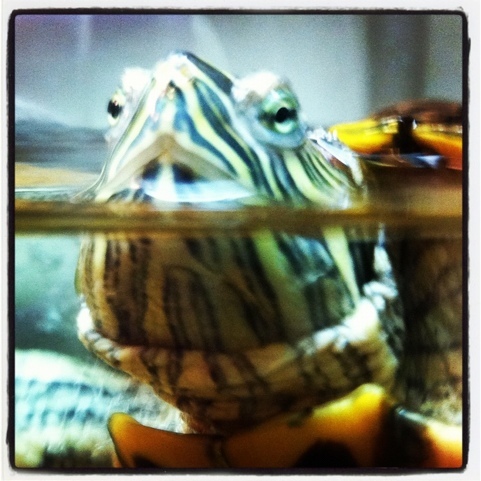 This entry was posted in Project 366 and tagged Instagram, photography, project 366, red-eared slider, slider, terrapin, Turtle. Bookmark the permalink.